Want to get to Mars? Well, NASA needs money to do it, and the president, along with Congress, mostly calls the shots. But NASA has been consistently underfunded over the last decade, and only saw its budget restored to healthier levels in 2016, when Congress carved out $19.3 billion for the agency. With missions to Mars and Jupiter on the horizon, and ambitions of curbing US dependency on Russian launches to the ISS, NASA’s no doubt hoping that the next president keeps the money flowing. Clinton’s personal relationship with NASA is rocky. Her anecdote about NASA denying her teenage dreams of becoming an astronaut might foster some decades-old resentment (which she constantly brings up), but Clinton’s statements on the matter suggest otherwise. In Hillary’s first presidential run in 2008, she aimed to reverse spending cuts imposed on NASA and the FAA. At a New Hampshire Town Hall last year, Clinton reassured her commitment to the space program, saying “I really, really do support the space program.” Yep, that’s two “reallys.” She followed up with additional support for the commercial space industry, but specified that funding initial “discovery and research” is only a job for the government. She’s also committed to investigating UFOs, so...make of that what you will. Interestingly, both democratic candidates seem hesitant to speak at great lengths about the space program. 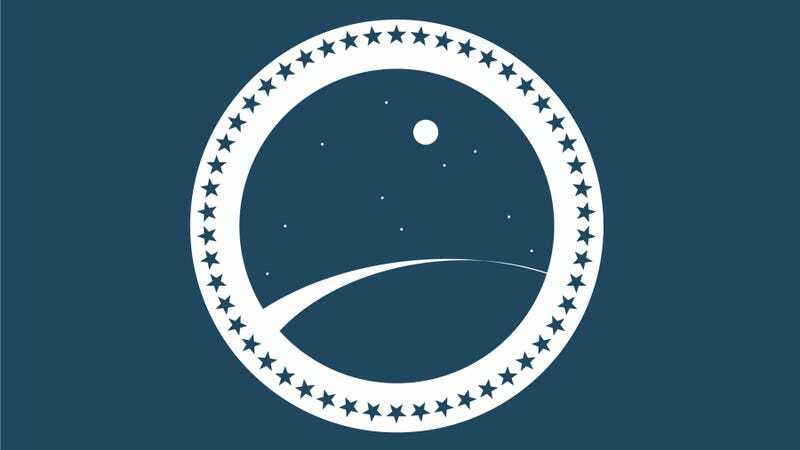 In mid-April, a major scientific goal involving space exploration was announced in New York City, the very city where the two candidates hosting a debate later that night. But the subject of NASA or space exploration was never mentioned. More recently, though, Trump’s comments on NASA suggest that he has no plans to prioritize its funding. “Right now, we have bigger problems — you understand that? We’ve got to fix our potholes,” Trump told a 10-year-old boy who asked about NASA during a town hall last year. Cruz is the chairman of the Senate Subcommittee on Space, Science, and Competitiveness, and has asserted that NASA should refocus on space exploration and shift away from its Earth Science programs, which monitor climate change. “In 1961, President John F. Kennedy laid down a marker for space exploration that inspired a generation of Americans to reach for the stars, recognizing that the race to the heavens was nothing less than a crucial front in the battle between freedom and tyranny,” Cruz said in a statement in 2015. In a related note, there’s currently a petition for NASA to build a cannon that will shoot Ted Cruz into the sun. Marco Rubio’s voting record on space contradicts the rhetoric he uses during speeches. Rubio has frequently expressed his love for NASA—which owns large million-dollar facilities in Rubio’s home state of Florida. Following NASA’s successful spacecraft visit to Pluto, Rubio said in a statement, “My hope is that many young people across this country and the world will see these images of Pluto and feel that American science, ingenuity and daring are alive and well.” But what Rubio failed to acknowledge was his support of budgets that included NASA funding cuts.